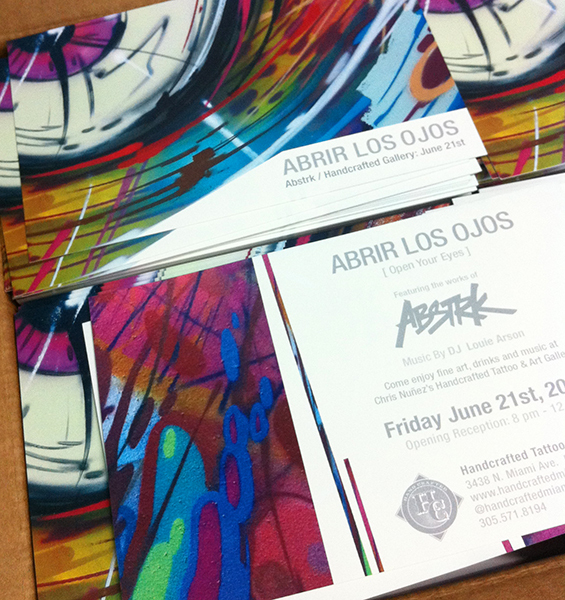 Design and print for Abstrk’s show at Handcrafted Tattoo Gallery. Full color prints on 16 pt. paper. Thanks Abs, thanks Chris!